Trial production of Apple's thinner and lighter fifth-generation iPad is rumored to begin soon, with full-scale volume production to kick off in July, according to a new report. Alleged details on Apple's next full-size iPad were reported on Monday by hit-or-miss tech industry publication DigiTimes. As usual, the report cited unnamed sources within Taiwan's supply chain, which have been known to provide unreliable information, but do sometimes prove accurate. This time, those sources claim the new iPad will hit shelves as early as September. The device is expected to have a thinner glass substrate, down from 0.25 millimeters to 0.2 millimeters, along with GF2 touchscreen technology. These changes expected in the fifth-generation iPad would make the device not only thinner, but significantly lighter. Monday's report claimed Apple could shed as much as 33 percent of the weight from the current 9.7-inch iPad. In addition, it was said that the next iPad will use just one LED light bar for backlighting. To date, all Retina display iPads have featured two LED light bars. 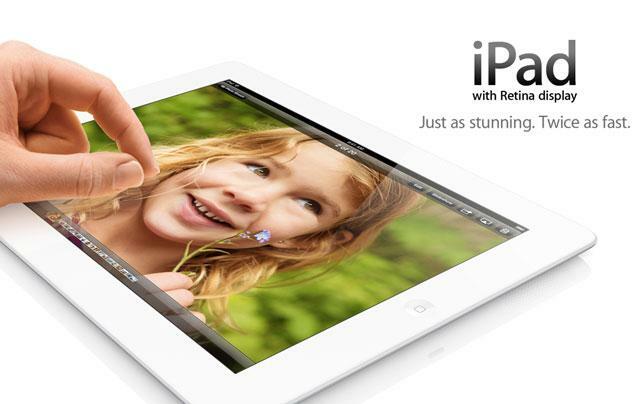 Panels for the next iPad are expected to come from LG Display, Samsung Display and Sharp. Other various suppliers cited by DigiTimes are TPK Holding, Coretronic, Radiant Opto-Electronics, and Taiwan Surface Mounting Technology. Lending at least some credibility to the report is the fact that some of the details align with what well-connected analyst Ming-Chi Kuo of KGI Securities indicated in April. In addition to GF2 screen technology, Kuo also expects the next iPad to have a smaller battery, 15 percent thinner frame, and smaller bezels like the iPad mini.